Last week, there was an L.A. Times article stating that Hello Kitty was not a cat. 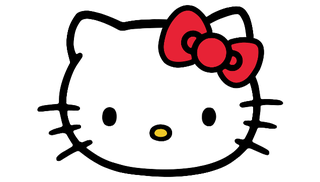 When asked for clarification, Sanrio told Kotaku that Hello Kitty was anthropomorphic cat. Later, the Japanese character goods maker gave a similar explanation to The Wall Street Journal. Sigh. Once again, there seems to be confusion (and contradictions), even among the people running Sanrio, between house cats and cartoon personifications of animals. Disney, however, has been pretty clear that its characters are anthropomorphic. And last week, so was Sanrio. "Nope, looks like a cat..."
"She's not a cat. But she's done in the motif of a cat." "If you asked anyone if Mickey was a mouse, they'd reply he was a mouse. So, is it taboo to ask that about Hello Kitty?" "How can the president even say that, he didn't create this character." "But, Mickey is a mouse." "I thought she was a hamster." "So, is Miffy a rabbit...?" "But last year, they released all those goods for cats." "She has ears like cat ears. She has whiskers. Anyone who sees her will think she's a cat, right?" "This is such a farce." "Okay, then she's a dog." "Maybe this president doesn't understand English. 'Kitty' means 'koneko' in Japanese or 'kitten' in English." "People should decide for themselves." "Kitty is Kitty. (But she looks like a cat.)" "Is this like a horror movie?" "I can't help but think that since they were sued for ripping off Miffy, that they can't say Hello Kitty is a cat..."
"Saying stuff like this is going to decrease the number of fans." "Mickey is Mickey Mouse, because...he's a mouse, but Kitty is Kitty...because she's not a cat." "I think it's time they let a younger person run Sanrio." "No, no, no. I thought she was a weasel." "She's not a cat? Whatever, she's a cat." "Who cares, because real cats are a million times cuter."